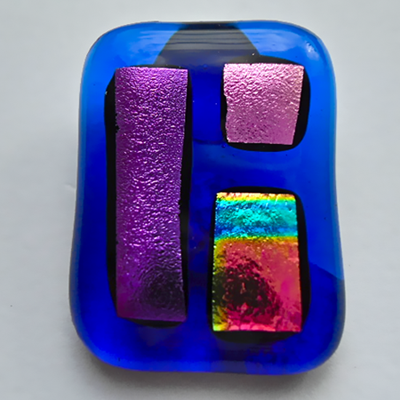 Gold/Teal/Magenta heavily patterned Dichroic glass pendant. 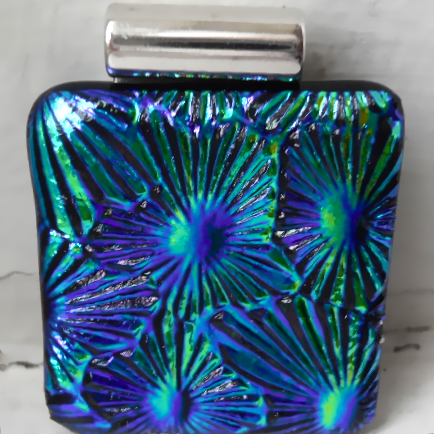 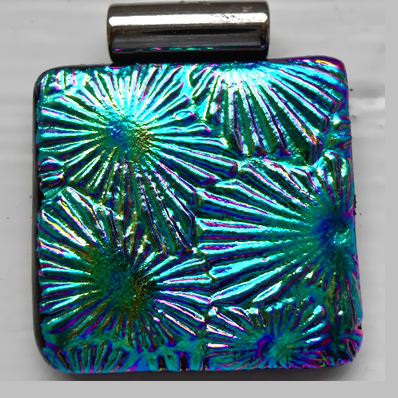 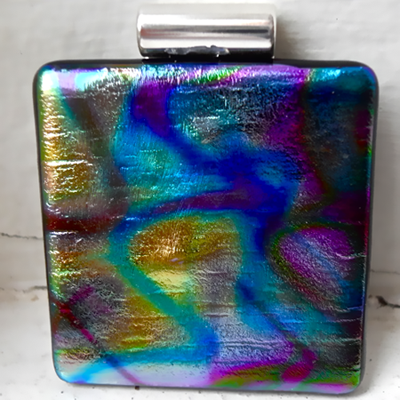 Very vibrant heavily textured Dichroic glass pendant. 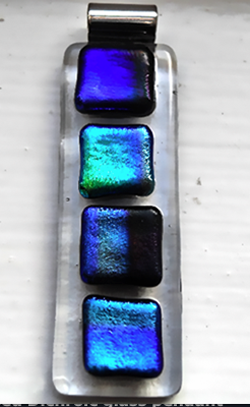 It shifts in colour from Purple to Teal. 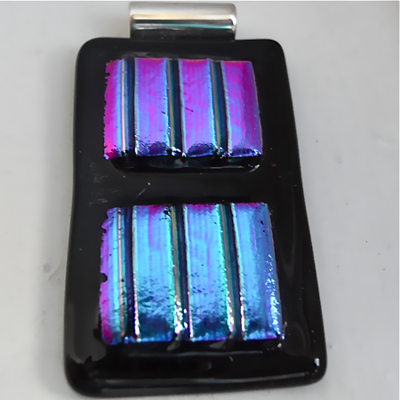 They have matching square stud earrings. 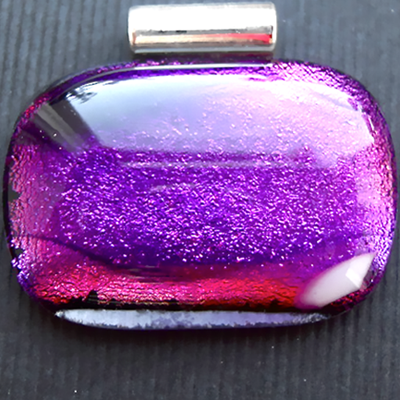 This is a very bright and shiny pendant. 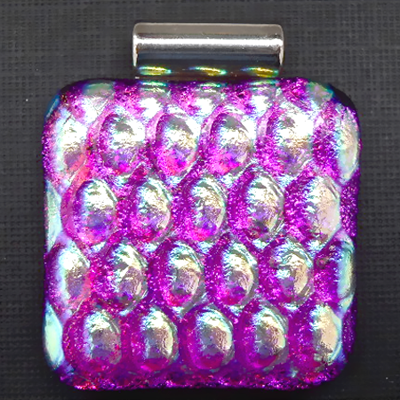 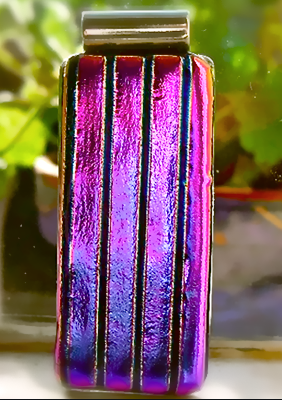 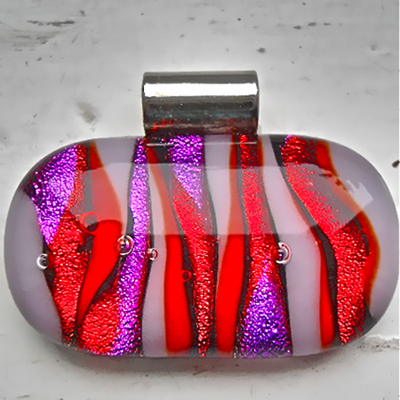 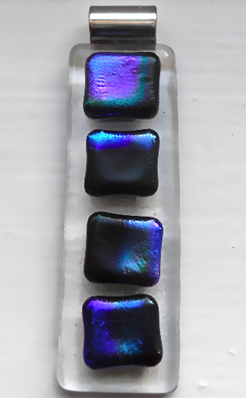 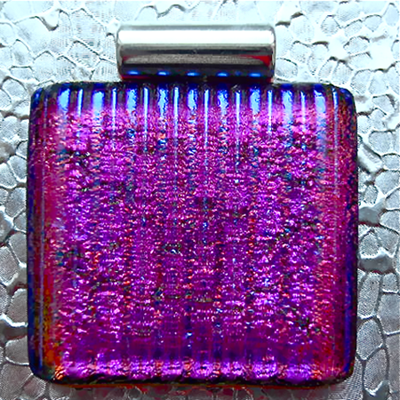 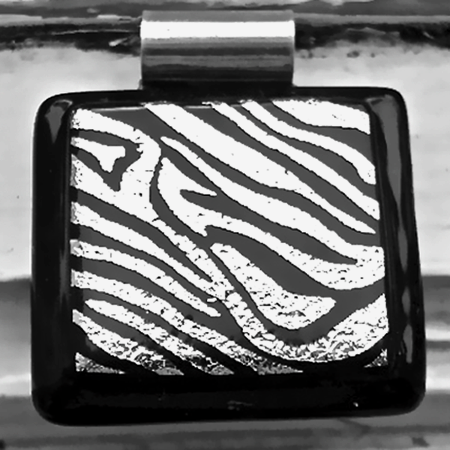 It has a Magenta Dichroic glass base topped with a thick layer of patterned clear glass. 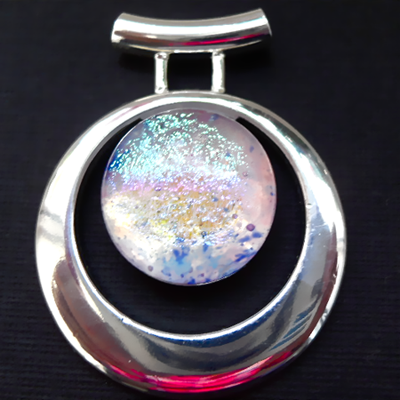 This plated silver pendant has a centrepiece of pale Pink glass with Rainbow coloured Dichroic glass. 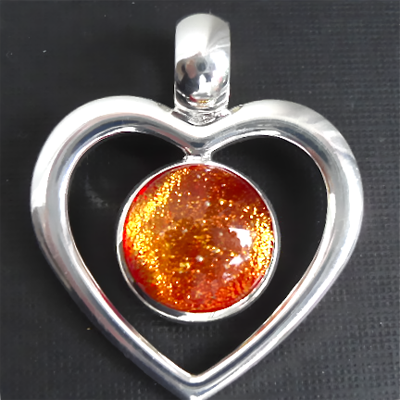 Vibrant Orange/Red Dichroic glass set into plated silver heart. 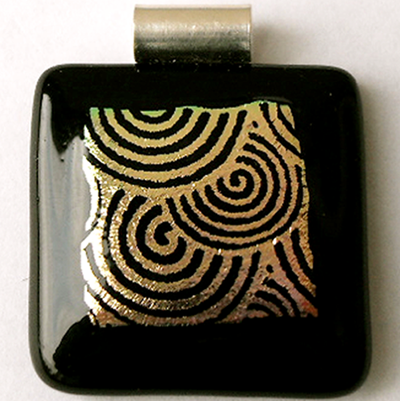 Orange /Green patterned Dichroic glass pendant. 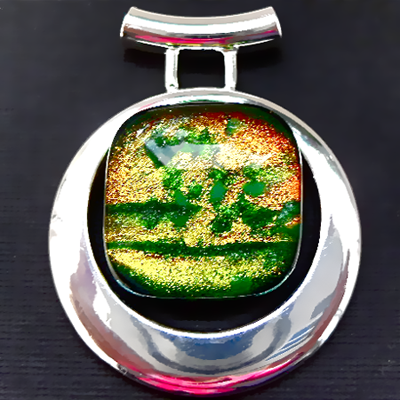 This plated silver pendant has a centrepiece of Orange/Green patterned Dichroic glass. 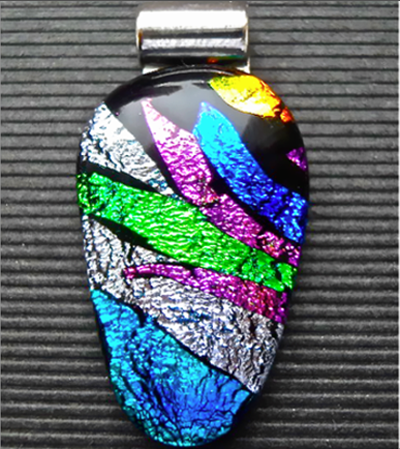 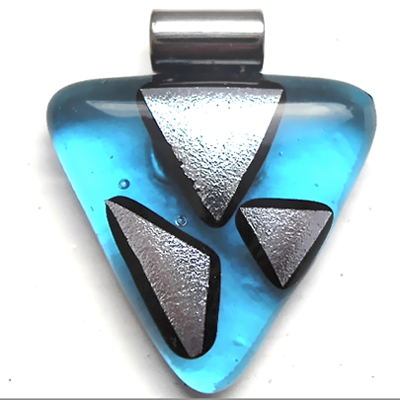 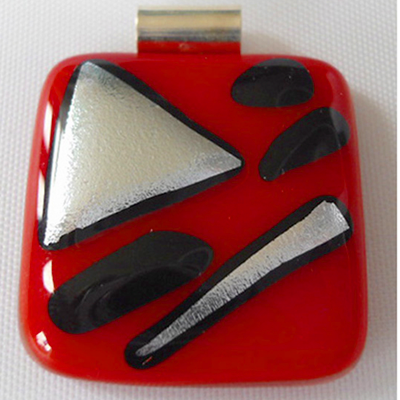 This abstract design very large pendant is made of multi coloured patterned Dichroic glass.